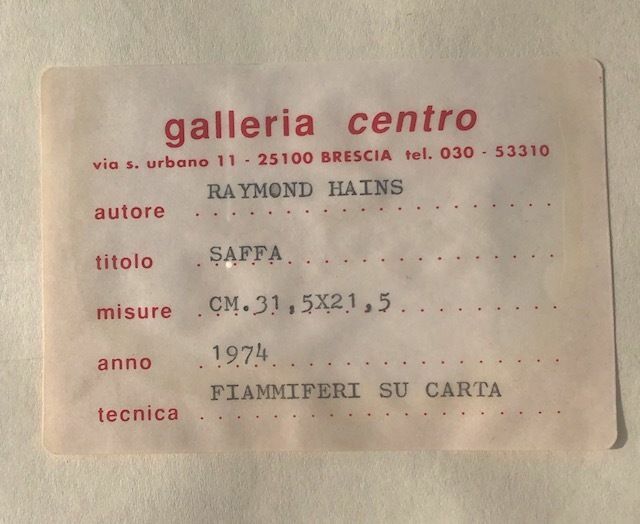 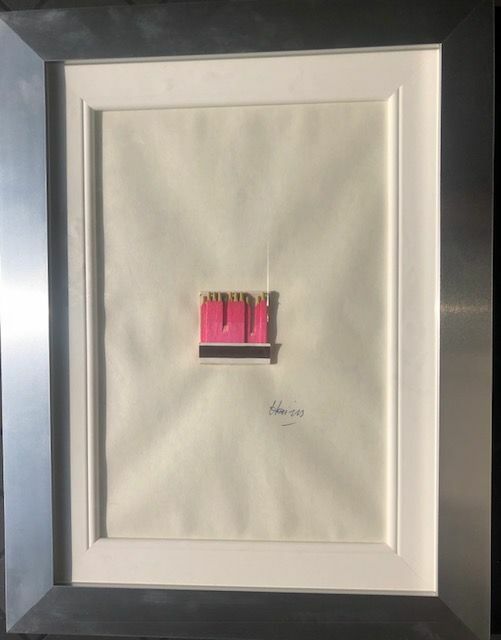 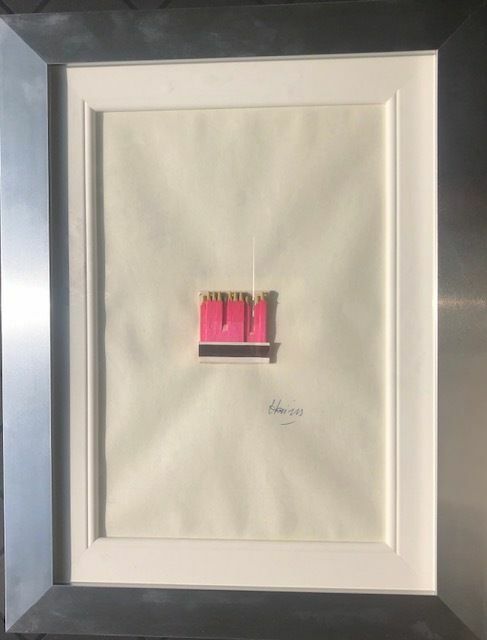 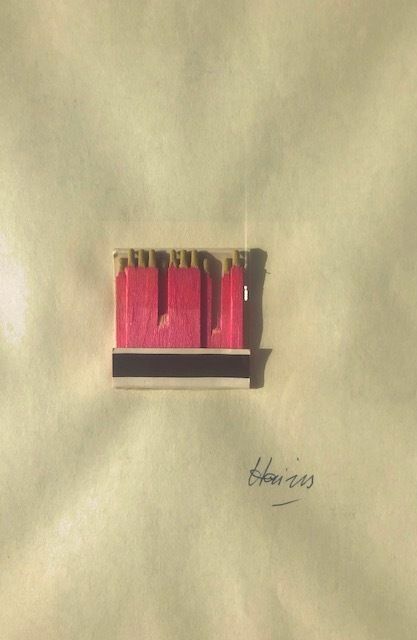 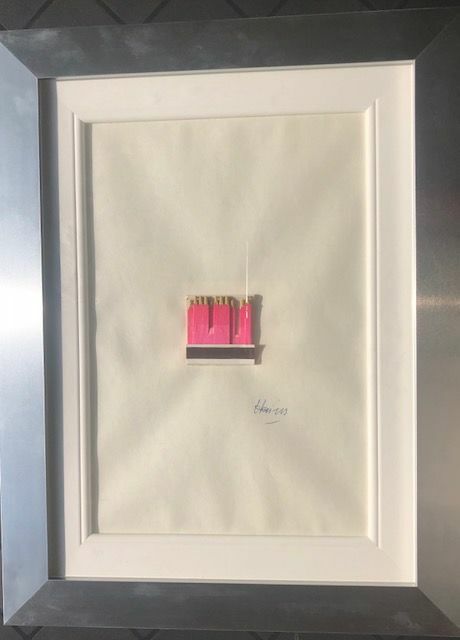 an artistic movement of the early years of the decade 1960-1970.
of the brand SAFFA, manufacturer of matches until 2002.
applied on a paper sheet with these dimensions: cm 3.5 x 21 x 5. 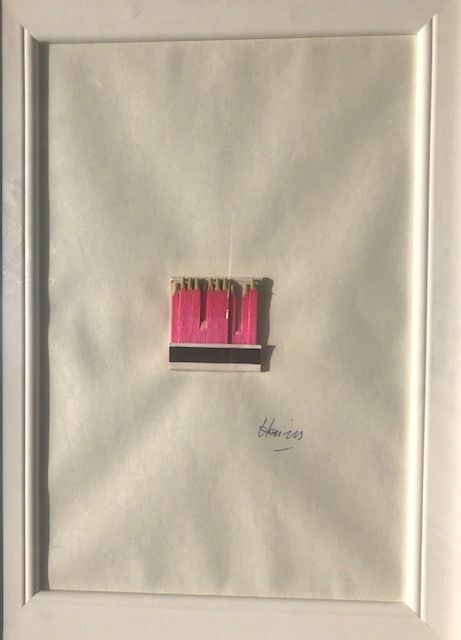 The signature is under the matches, on the right. 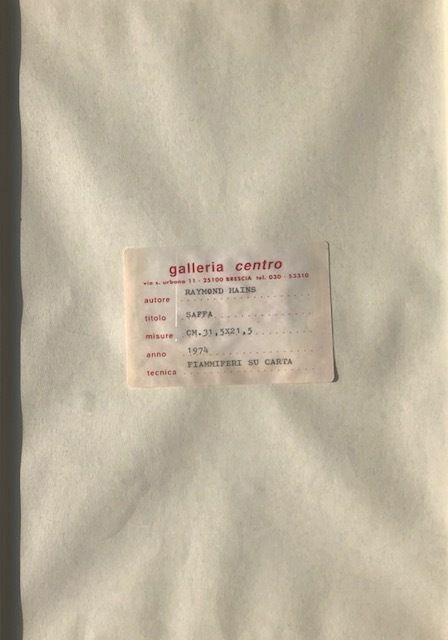 On the back there is the label of Galleria Centro in Brescia. 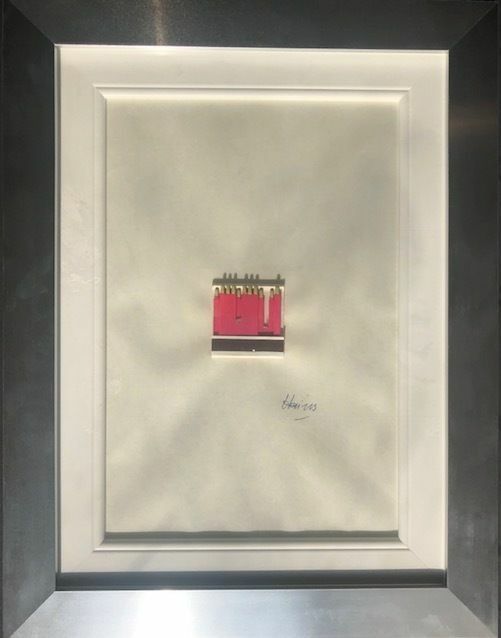 The artwork has an aluminium frame from the late 1970s. 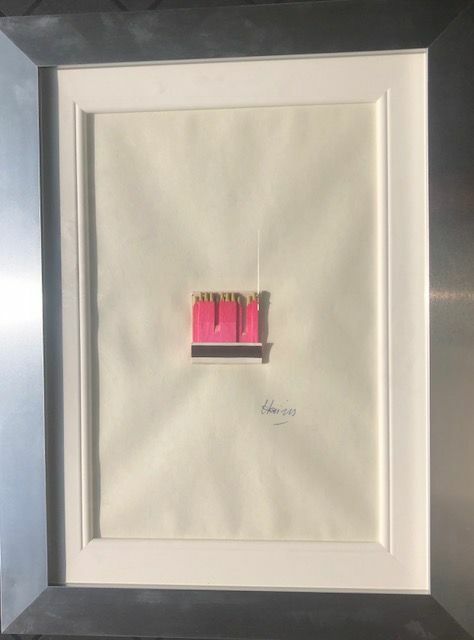 Overall dimensions with frame: cm 43 x 33 x 2. 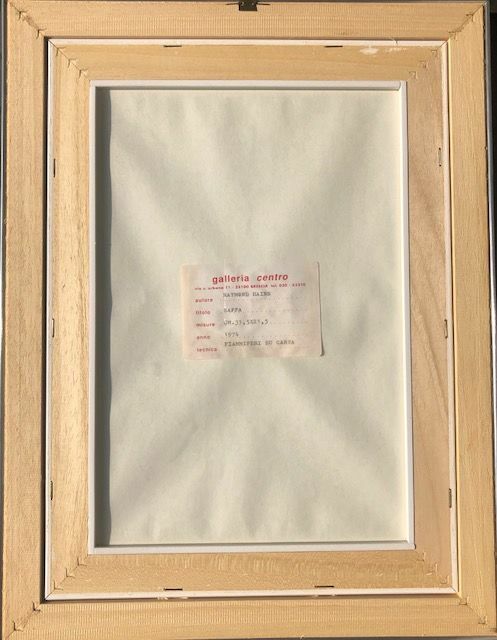 Pode levantar este lote em mão do vendedor: COLICO (LECCO), Itália.